This shop boasts beautiful, handmade leather goods from Portland Oregon, displayed in a sizeable shop amidst a small (but great) clothing selection, a spattering of ceramics and coffee table books and accessories that may or may not be for sale, like a ten-speed bike suspended from the ceiling and light fixtures we can't stop dreaming about. 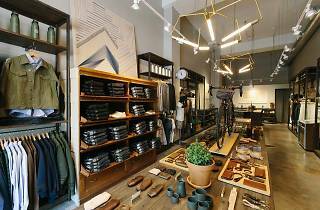 Tanner Goods is all about the process, and their staff is super knowledgeable about each piece's provenance and properties. 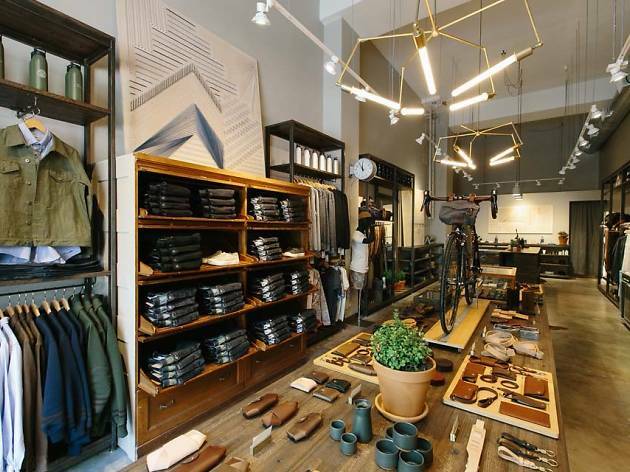 The shop is a great place to find gifts for men, or anyone outdoorsy with a weakness for well-crafted goods that will last 'til they're well-worn.